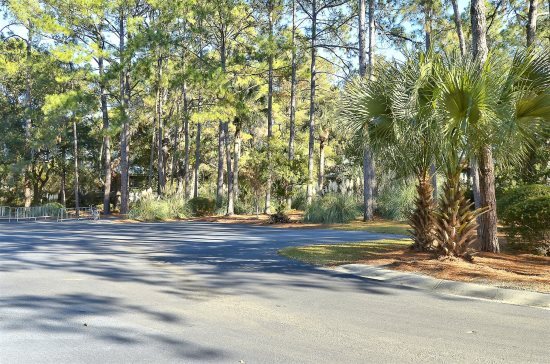 4 bedroom, 4.5 bath home located in Hilton Heads newest developing location, Folly Field. 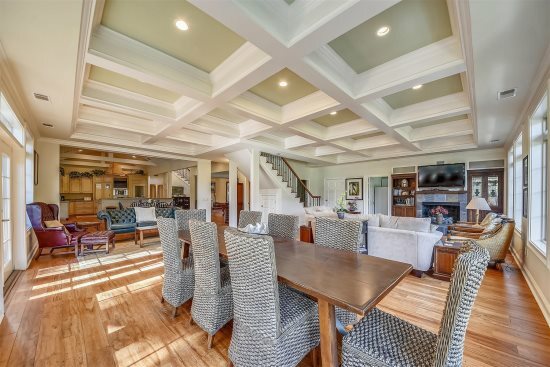 The vacation of your dreams awaits you in this picturesque, opulent, and pristine 4 bedroom, 4.5 bath home located in Hilton Head’s newest developing location, Folly Field. The homes in this area are more luxurious than ever before and offer tranquil views to make your vacations even more relaxing. 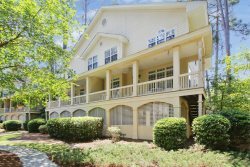 This elegant home is perfect for families seeking the ideal getaway from the hustle of everyday life, without paying the Hilton Head price tag! The home’s spacious layout and tasteful, nautical décor will have you thinking that you have set sail onboard a cruise. The hardwood floor entry foyer leads to the very contemporary kitchen with its stainless steel appliances, pristine granite countertops, chic light fixtures, and plenteous cabinets to store groceries. The décor and ambiance in the kitchen will encourage you to tap into your inner chef skills and create gourmet delicacies for the entire family to try. Cozy bar stools sit stately at the breakfast, so while dinner is being prepared, have the kids plan the next day’s itinerary. The darling living room is decked in blues and browns and though quite spacious, it offers a very intimate feel. It is furnished with a comfy sectional sofa, a flat screen television, high ceilings, and an armchair. The peaceful views from the spotless dining room; will transform your mind into thinking that you are dining at a five star restaurant; it seats 6. After dinner, pop out on to the balcony and sit in one of the two rocking chairs, as you star gaze into the galaxy and attempt to name the stars. The master bedroom is designed to be a sandy escape from the world, with its creamy walls, white furniture, and grey with blue bedding. It is home to a king-size bed, flat screen television, its own private bathroom with a walk-in shower, and peaceful landscape views. On the second tier of the house, there are two additional bedrooms, as well as, a hallway furnished with a table and four chairs; the ideal spot to deal a hand of cards, play board games before dinner or arrange a 1000 piece puzzle. The first bedroom on this floor is home to a queen- size bed, plush carpeting, a flat screen television, and its own private bathroom with a walk-in shower. The other is decorated in a variety of blues and reds and is the perfect room for kids since it has full-size over full-size bunk beds (with a twin-size trundle below the bottom bed) and lots of room for them to roll around and burn their energy. This bedroom also has a bathroom with a walk-in shower. The view from the balcony on this floor is just as crisp and tranquil as that on the main level. The final bedroom is the most spacious in the entire house. The bed in this room is a trundle (full on top and a twin beneath). Brown Bean Bag chairs line the window and radiates the sunshine on to the other dark oak furnishings. Enjoy a novel or flip through the latest issue of Seventeen Magazine while sitting on the built-in bench by the window; if you get bored, just gather everyone and play a friendly game of air hockey on the complimentary game table. This room also has its own bathroom with a shower/tub combination. And just in case you were wondering, this home also offers a covered pool, outdoor shower, and a grill for all your barbecue needs on the lower level. Newly built, nautically decorated, and offering a serene view without the price tag, this home will be an amazing choice for your family’s next escape. Happy Vacationing! Parking: Property only allows 6 cars and street parking is not allowed.